IT is now five years since M. Pasteur introduced to the medical world his alleged cure for hydrophobia. If his much-vaunted discovery possesses all the merits which have been claimed for it, he has earned a fair title to the gratitude of mankind. If, on the other hand, it can be shown that all his theories depend for their acceptance upon a number of very serious fallacies, and that his alleged cures are no cures at all, inasmuch as in those cases the disease never existed, and yet further, that in many cases his treatment has actually induced hydrophobia where it was previously non-existent, M. Pasteur’s claim to be regarded, on account of this treatment, as a benefactor of his race, must fall to the ground. 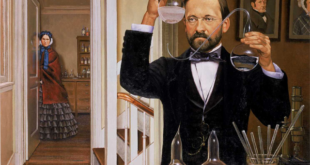 When M. Pasteur startled the world by his first statistics, I was disposed to believe that in the hands of a man of such great scientific fame a cure had been found. I could not, however, avoid noticing the same fallacy running through his statistics which characterized the returns made by the Rev. Dr. Verity. The dog bitten were certainly rushing to M. Pasteur; but the results were robbed of much of their marvellous character if it could be shown, that, owing to panic and fashion, great numbers bitten by non rabid dogs were seeking protection. This objection was supported by another, very powerful consideration. I found, on carefully comparing the statistics given by M. Pasteur with those of the years which preceded the introduction of his system, that the supposed rabid dog-bitten in France had increased in extraordinary proportions: while, at the same time, the average mortality from rabies in France had shown but little fluctuation. The arguments I have already given are such as will appeal at once to the lay mind. There are, however, certain scientific objections which are still more cogent. The action of the supposed prophylactic, when examined, resolved itself into pure empiricism. A number of injections of rabbits’ spinal cords, that had been dried from fourteen to five days, were used, and the old post hoc argument was employed: because the children treated by these injections did not subsequently develop hydrophobia, therefore the prophylactic was the remedy. This simple proposition loses its force, however, when we note carefully what really happened. In one series, cords were used based on one formula. Some “cures” resulted, but deaths also occurred. Then the formula was altered, and made more intensive, with the result that a larger number of deaths occurred. A return was then made to the first formula, with some slight modification. Deaths still occurred. In explanation of the deaths, a general affirmation was made that the cases that died came “too late.” But, in looking through the list of patients, I found that the cases which were “cured” were, in many cases, of just as long duration, and that with regard to them no assertion was made that they came “too late.” Take, for instance, the case of Lord Doneraile. If in his case, eleven days was too late for treatment, then all cases that came after that period had elapsed must be expunged from the list of cures. Or, if Lord Doneraile’s death was due to the application of the weak or first method, then the cases of the others treated by the same formula fall to the ground. A yet further objection from the scientific standpoint is to be found in the fact that we know absolutely nothing of the action of these injections. M. Pasteur has not been able to tell us either the rate of absorption of each injection, or any thing of the physiological processes which take place. 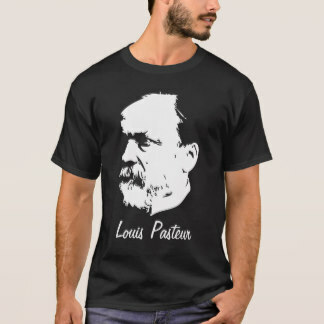 In order to substantiate these objections, I shall throughout quote M. Pasteur’s own words, and give his own statistics, and the names of his cases. The first point to which I must call attention is the remarkable classification which he has adopted with regard to the proofs that the patients he has treated were bitten by dogs that were really suffering from rabies. The following is the form adopted: Class A. Cases in which the dog was proved to be rabid by the experimental test; Class B. Cases in which the dog was recognized as rabid by the veterinary surgeon; Class C. Cases in which the dog was only suspected of being rabid. This classification presupposes that all the patients have been exposed to danger. It makes no allowance for non rabid dogs, with the strange result, that, according to these statistics, a veritable epidemic of rabies affecting thousands of dogs must have existed in France during the years which have elapsed since M. Pasteur introduced his system. It may be objected that in this matter the most eminent medical men in England support M. Pasteur. In reply to this, I will take one of the most eminent of these names, and show that his assertions with regard to the Pasteurian system are not supported by statistical, physiological, or pathological evidence. 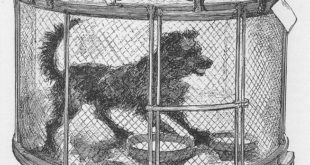 At a meeting at the Mansion House on Monday, July 1, 1889, Sir James Paget stated, that, “taking the average of all persons bitten by rabid dogs, 15 per cent would suffer from the disease, and 15 per cent would die…. In the seven thousand bitten, if fifteen of each hundred had died, there would have been as nearly as possible a thousand deaths, but only a hundred died. Pasteur has therefore saved already nine hundred lives.” In the report of the English Hydrophobia Commission, Sir James Paget agrees with his co-workers in stating ‘ that at least 5 per cent of the persons bitten would suffer from the disease.” We have therefore two estimates of 5 and 15 per cent as the mortality in the case of those bitten by rabid dogs. With each percentage we obtain a supposed increased saving of life. In order to realize the value of these assertions as applied to the Pasteurian statistics, let us inquire carefully what was the mortality in France during the years before M. Pasteur took up his work; for it will be manifest that if this system saved nine hundred lives in five years, then there ought to have been an equal or proportionate mortality in France before the introduction of the Pasteurian system. The facts, however, are far otherwise. The illustrious Tardieu, in a report presented to the minister of hygiene in 1863, maintained that twenty-five cases of rabies per year approximately represented the mean mortality in France from that disease. These figures represent the deaths in the Department of the Seine. With such figures before us, what becomes of the statement of our distinguished surgeon, that M. Pasteur has by his system saved nine hundred lives, when the national statistics of France prove conclusively that in no five years, for a quarter of a century, preceding M. Pasteur’s discovery, did any such number of people die from this disease. The statistics of other countries also negative the statement. 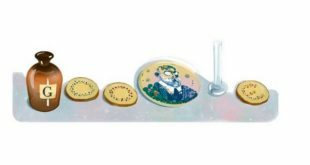 The remarkable effect produced upon the statistics of hydrophobia by M. Pasteur’s discovery is yet more strikingly shown when we investigate the returns from the Paris hospitals. 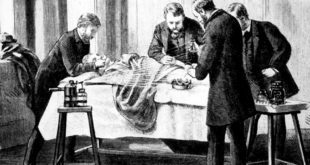 On Nov. 2, 1887, M. Pasteur wrote to the Academy of Medicine as follows: “We know that sixty persons have died in the Paris hospitals during the last five years, a mean of twelve per year.” After careful investigation of the hospital returns for those years, I am compelled to contradict this statement, and I am prepared to submit to M. Pasteur a full list of the names of all the patients who died in the Paris hospitals during that time, showing the following results: in 1881, 11 died; in 1882, 3; in 1883, 4; in 1884, 3; in 1885, 5. This gives a total of 26, or an average of 5.2 per annum, in place of the annual average of 12, as estimated by M. Pasteur. I am able to give the full details of the inumber of French patients treated by M. Pasteur who have died since the introduction of the Pasteurian system. For the complete list of the names of the patients, with the date of the bite, date of treatment, and date of death, I am indebted to the energy and ability of Dr. Lutaud. Space will not permit me to give this list in full, but the following is a recapitulation: in 1886, 19 deaths; in 1887, 27 deaths; in 1888, 23 deaths; in 1889, 21 deaths; giving a total of 80, or a yearly average of 20. These cases only represent the deaths after inoculation by M. Pasteur. To obtain the annual mortality of rabies in France, we must add to the foregoing the deaths of those persons who have not been treated at the institute. According to statistics published by M. Pasteur himself in 1886, the deaths among the non-inoculated for that year amounted to 17. If these be added to the 19 who died after treatment, we have an annual mortality of 36, as against an annual mortality, according to Tardieu’s returns, prior to the introduction of inoculation, of 25 to 30. 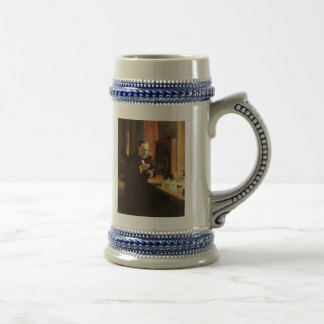 With these statistics before us, we are forced to the conclusion that the words quoted from the address of our eminent surgeon at the Mansion House were prompted more by generous impulse, and by feelings of respect and friendship for Pasteur, than by any strict regard to statistical data. As we have seen, Sir James Paget fixes the general mortality of those bitten at 15 per cent. M. Pasteur, in his article in the New Review (December. 1889) accepts this estimate, but thinks it is too low for bites on the face and other exposed parts. In such cases he thinks that the figures should be from 60 to 90 per cent. If we add up the number who have been bitten on exposed parts, and accept these percentages, then M. Pasteur’s saving of life has been much greater, and his cures for France alone amount to some hundreds per annum. When we remember the ascertained mortality in France, and the rarity of hydrophobia there in past years, such percentages as the foregoing reduce the system to an absurdity. To M. Peter the world owes the first expose of the dangers of the intensive method. It required great courage on the part of Dr. Peter, Dr. Lutaud, and others in France, and Dr. B. W. Richardson in England, to oppose the fashion. Had they not been actuated by a pure love of science, they would have been silenced. It is, however, not unsafe to prophesy that the intolerance of the new school in France, as shown in its treatment of Professor Peter, will bring about its own downfall. Extract from an article by Thomas M. Dolan, M.D., in The Contemporary Review for July.